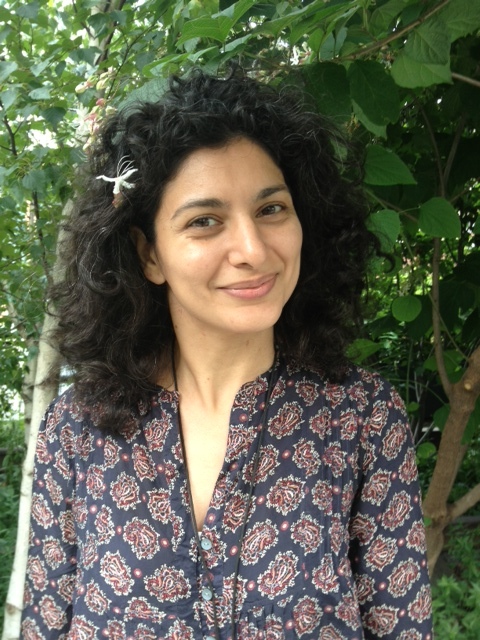 Kayhan Irani is an Emmy-award winning writer and an arts and community engagement strategist. She designs and directs socially engaged arts projects for community-based organizations, government agencies, and international NGOs and trains groups of people in using story-based strategies for education and mobilization. Her work has been supported by the United States Institute of Peace, the BBC World Service Trust, the Bronx Council on the Arts, the Department of Environmental Protection, and the Asian Women’s Giving Circle, among others. In May, 2016 she was on of ten API artists named as a White House “Champion of Change” by the Obama Administration for her arts and storytelling work. Tammy Arnstein is an action researcher and media maker. She employs personal storytelling and narrative in educational settings and in participatory research projects and events to promote social change. She has worked as a consultant, researcher, and practitioner on immigrant integration policy, media education, youth development, and the intersection of education and mass incarceration. Tammy is a doctoral candidate at Teachers College, Columbia University, writing her dissertation on theater, personal storytelling and education for social change. She holds an MFA from the University of Texas at Austin and EdM from Teachers College, Columbia University. Robert C. Winn is a documentary filmmaker who works at the intersection of story and policy. His projects put a human face on pressing social justice issues by foregrounding the voices of the people most affected. Working closely with stakeholders, he creates compelling, high impact media to raise public awareness, inform policy debates, and educate communities. Recent documentary projects include Out of the Closet, Out of the Shadows, about LGBTQ immigrant rights activists working against deportation, Childhood in Translation, about the impact of language barriers on immigrant families, Grassroots Rising, about labor issues and the Asian Pacific Islander community in L.A., and Saigon, USA, about generational conflicts in the Vietnamese American community. Robert received a JD from Yale Law School and an MFA from USC School of Cinema-Television. Mouhamed Kaba Organizer, NYC Mayor’s Office of Immigrant Affairs & DACA Recipient. Charles Kamasaki Senior cabinet advisor for National Council of La Raza and Senior Fellow at Migration Policy Institute. Azadeh Khalil Gender Equity consultant, IRCA recipient. Ricken Patel Founder and Executive Director of Avaaz.org. Andrew Ramsammy Founder, United Public Strategies. Margaret Salazar-Porzio, Ph.D. Curator in the Division of Home and Community Life at the National Museum of American History.